Autumn is a time for soups, pot pies, roasts, casseroles and all the other fall recipes we all know and love. And it’s always good to try out something new, so here are some unique fall recipes you can make this season! As temperatures start to drop, there’s nothing better than staying in and having a cozy meal at home. And the best part about cooking during this season? The seasonal ingredients, of course! Here are some unique takes on your classic fall recipes you can make any time of the year. 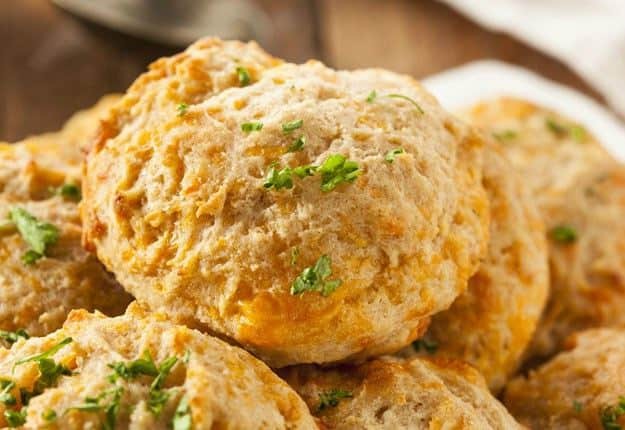 Instead of waiting in line at Red Lobster for their most popular appetizer which is the cheddar bay biscuits, why not make these bad boys right at home? 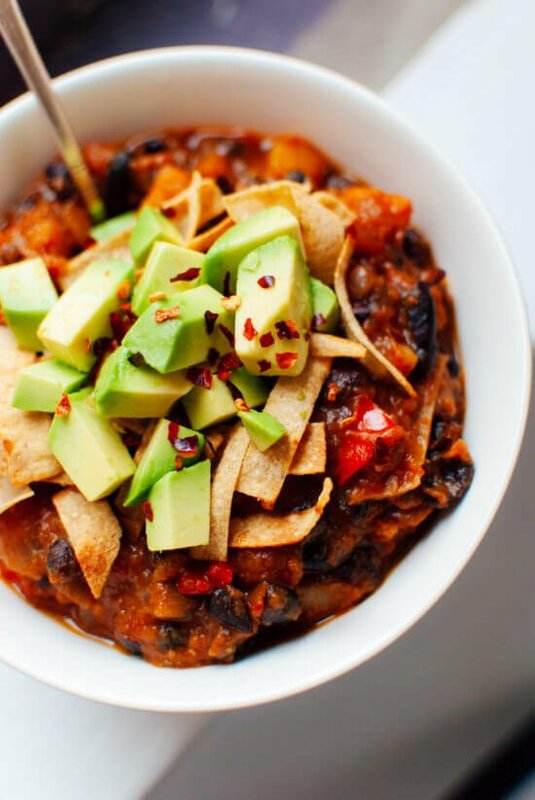 Vegetarians and vegans will certainly love this veggie chili made with butternut squash, black beans, and chipotle pepper. Top it off with delicious avocado slices and you have yourself a meal that’s both hearty and healthy. 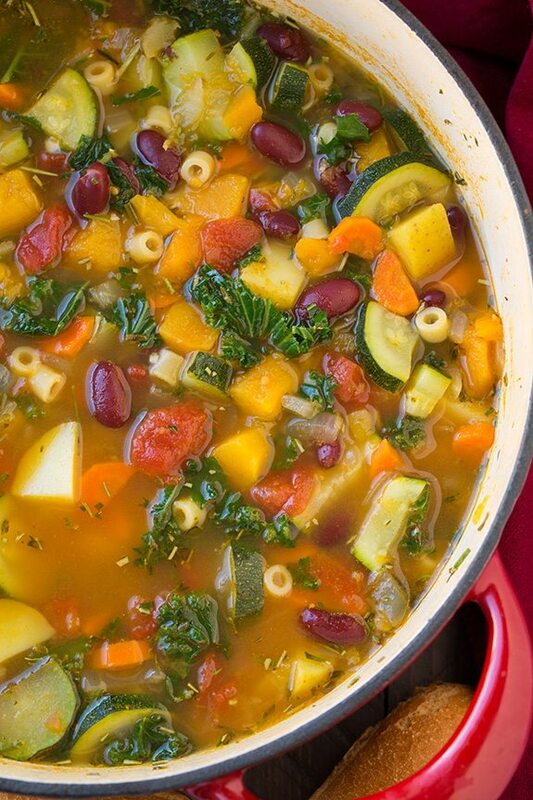 Made with seasonal veggies, such as butternut squash and Yukon potatoes, this veggie-loaded twist on the classic minestrone will surely warm hearts and tummies at your next dinner party. 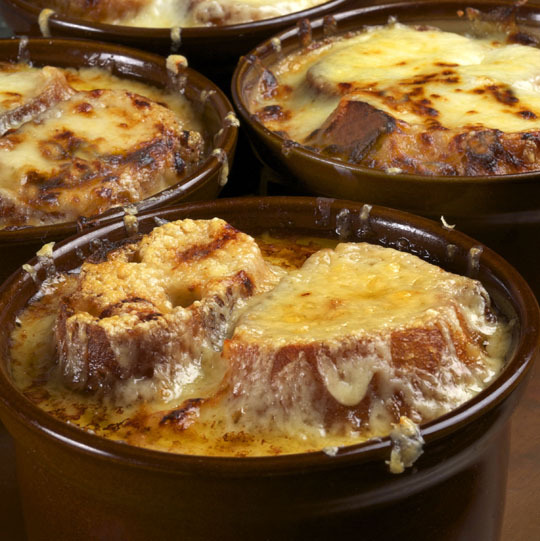 This French onion soup recipe doesn’t require a lot of ingredients, so it’s so easy to make. There’s nothing like a warm bowl of soup to warm you up on a chilly fall evening. This chocolate chip pumpkin bread recipe is perfect for those who are trying to watch their weight but still want a treat featuring the flavors of the fall season. Energy booster doubles as a yummy fall dessert! This bread is so good, you’ll consider making it all year round. While this delightful butternut squash, apple, and brie galette may be more rustic than your typical Thanksgiving dessert, once you taste it, you’ll know why it needs no further decoration. Pumpkin doesn’t always need to be in your dessert. 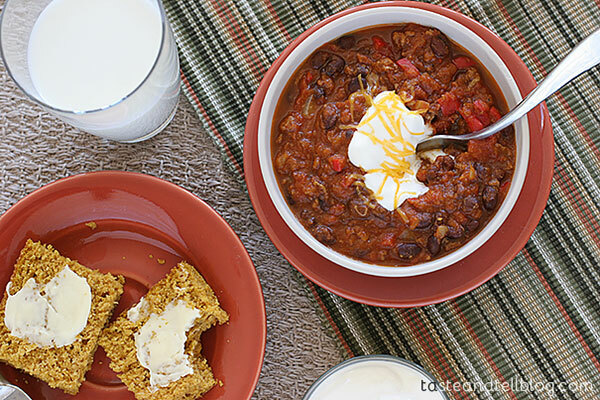 Yes, it can be combined with cinnamon, ground beef, black beans, and hot sauce to make a warm and comforting chili recipe. Add some cornbread on the side and you’re set. Healthy and delicious? 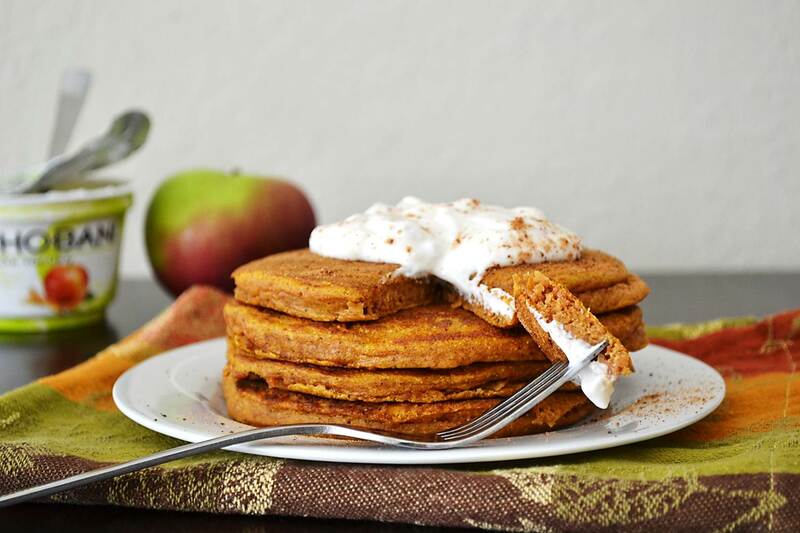 These apple cinnamon pumpkin pancakes are made from gluten-free flour and topped off with yummy apple cinnamon Greek yogurt. This sweet potato and apple dish will make the perfect side dish to your meat dishes during busy weeknights — all you need is one pot and a few minutes. Which came first – the spaghetti or the garlic bread? Feel free to indulge this fall with this spaghetti stuffed garlic bread. This is the carb overload you’ve always dreamed of. This is not your typical pot pie recipe. Topped with buttery biscuits, this recipe will bring comfort and warmth to your body and soul on those wickedly cold autumn nights. More pot pies! 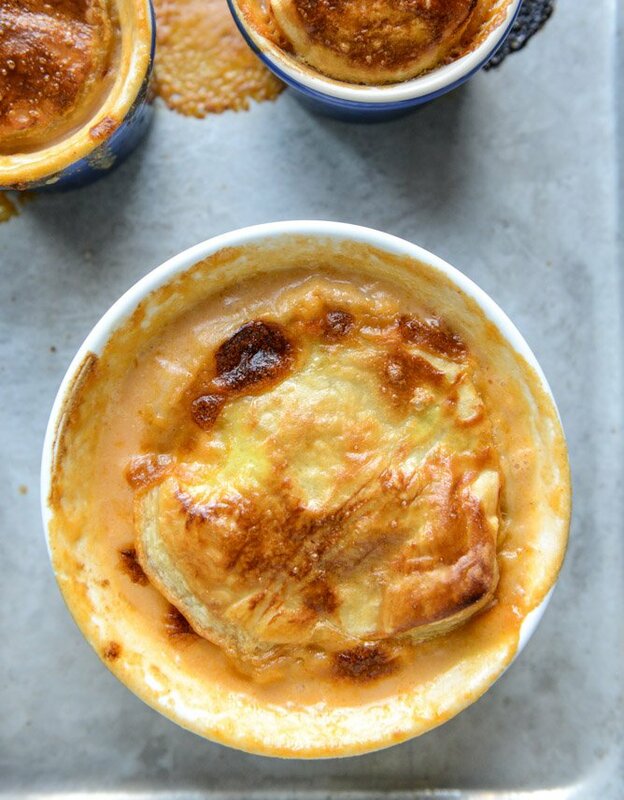 These lobster pot pies are stuffed with lobster tails, Yukon gold potatoes, and corn, all flavored with sherry and seafood stock. Another unique pot pie! Yes, it’s because we’ve never seen anything like this beet pot pie. Bright red beets, asparagus, and dried cranberries in the same recipe may seem like a weird combination, but that’s because you’ve never tried this delicious pocket of goodness. Stews are definitely one of the most popular fall dinners, so it’s no wonder they’re considered a comfort food during this season. There’s nothing better than a warm bowl of beef stew, especially when it comes with one secret ingredient known to provide comfort worldwide—beer! Fried potatoes topped with your favorite taco toppings, such as ground beef and chilies, then bathed in delicious enchilada sauce? This new take on the usual tater tot casserole will certainly be a welcome addition to any fall dinner table. 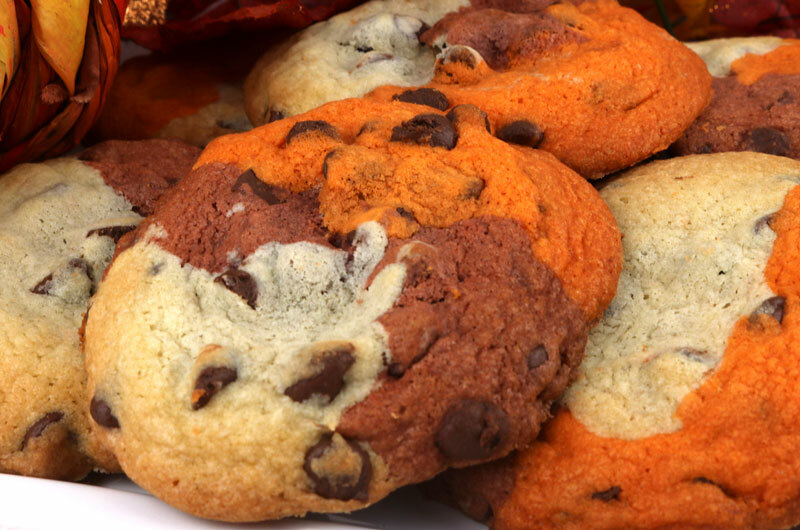 With their pretty orange hue that will remind you of fall leaves, these chocolate marble cookies will certainly add a fall vibe to any bake sale or simply as a yummy snack paired with your favorite latte. Get on the pumpkin spice trend by making these yummy waffles! Whether topped with whipped cream sprinkled with cinnamon, or your usual butter and syrup, these will certainly bring the season to your breakfast table. 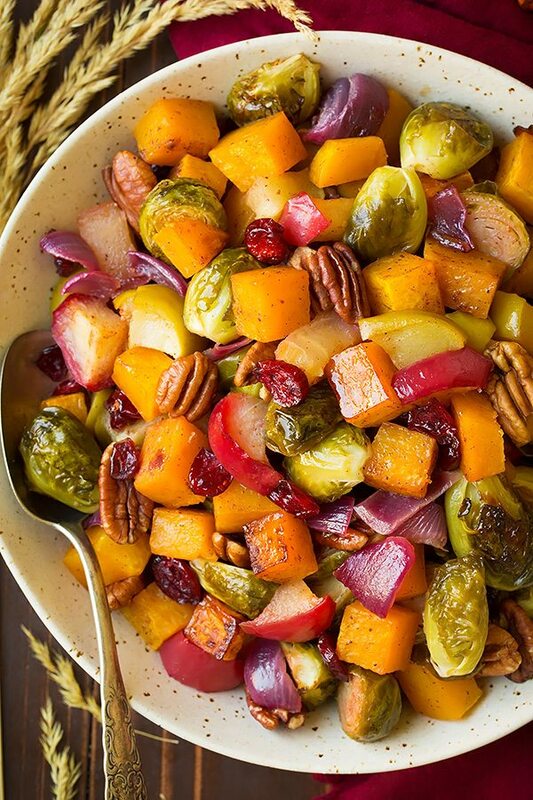 This roasted veggie recipe is loaded with the best produce the season can offer. Not only is it delicious, it’s so pretty as well, making it the perfect dish to bring to your next potluck. 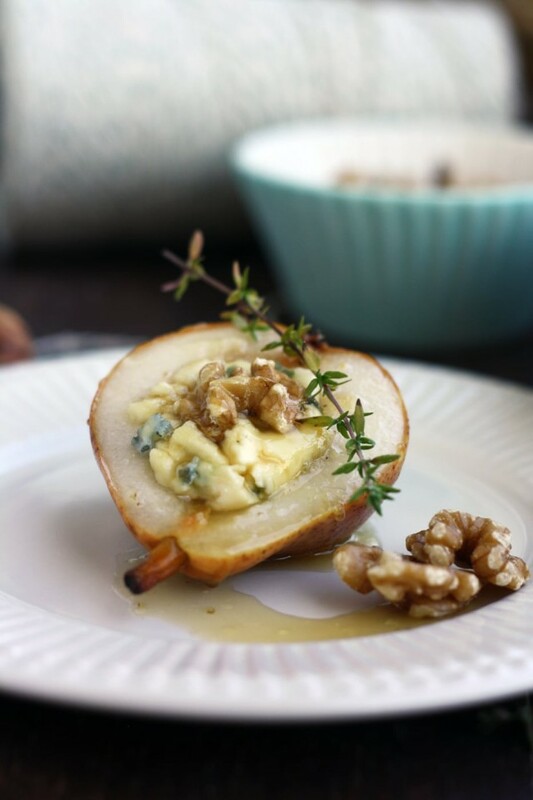 This baked pear recipe will make a great appetizer for your next dinner party. It has the perfect balance of salty, sweet, and sour that will excite your taste buds. Feel free to swap the gorgonzola for your preferred cheese. 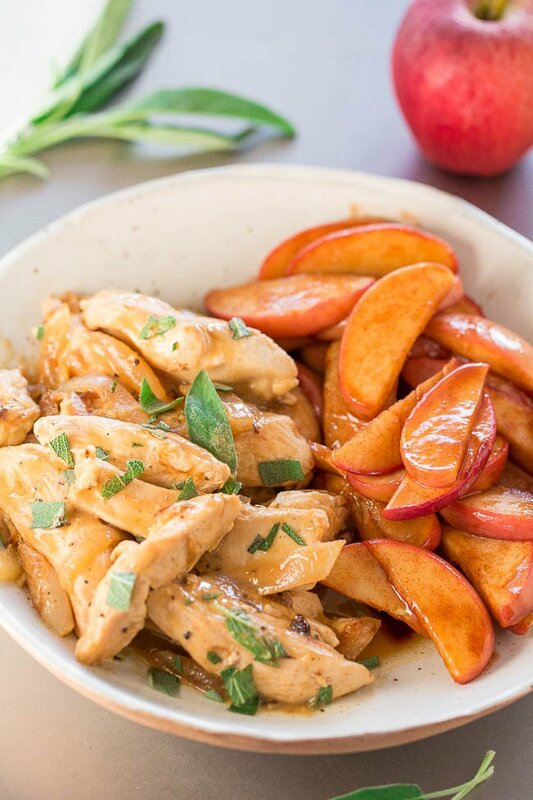 The secret behind this Apple Cider Chicken recipe is the perfect balance of flavors from the apple cider and Dijon mustard mixture. Paired with yummy, fragrant caramelized apples, this is a dish you’ll look forward coming home to. 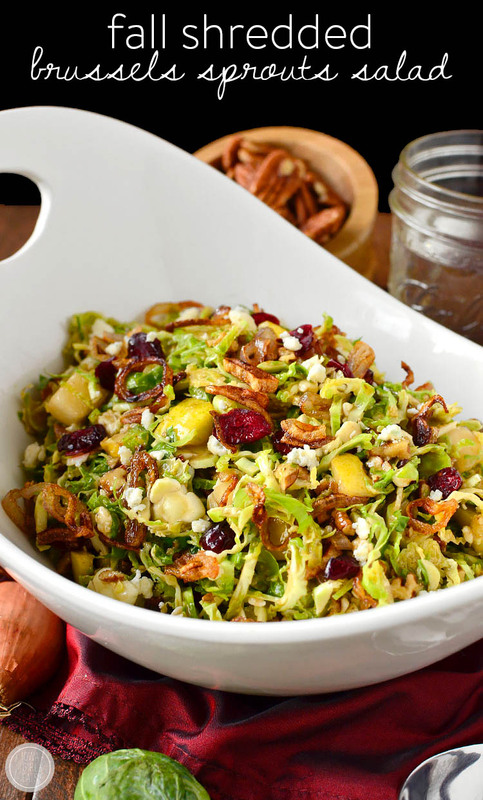 If you’re looking for a great salad for your Thanksgiving dinner, you might want to consider this shredded Brussels sprouts salad. It’s loaded with nuts, cheese, fruits, and crispy shallots, and paired with a special dressing that’s both sweet and tangy. 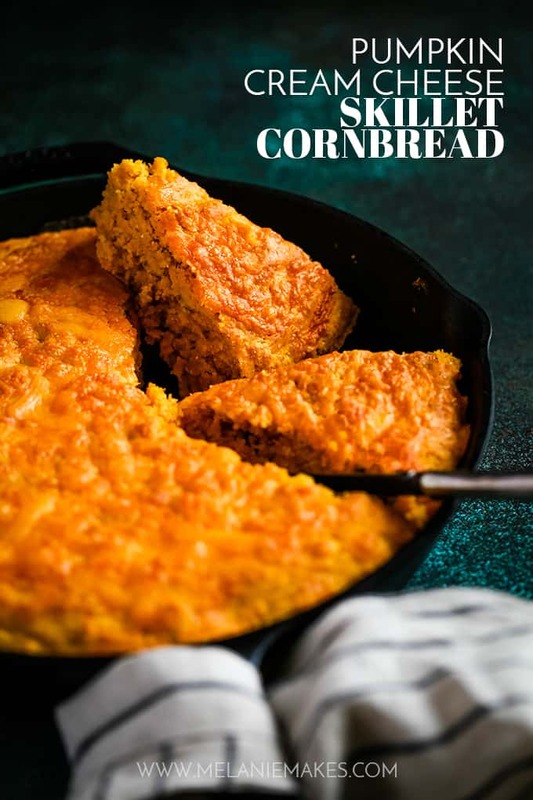 Made with two kinds of cheese, namely cream cheese, and cheddar cheese, this fall cornbread recipe makes use of pumpkin to cut through the saltiness of the cheese and keep the bread light and moist. 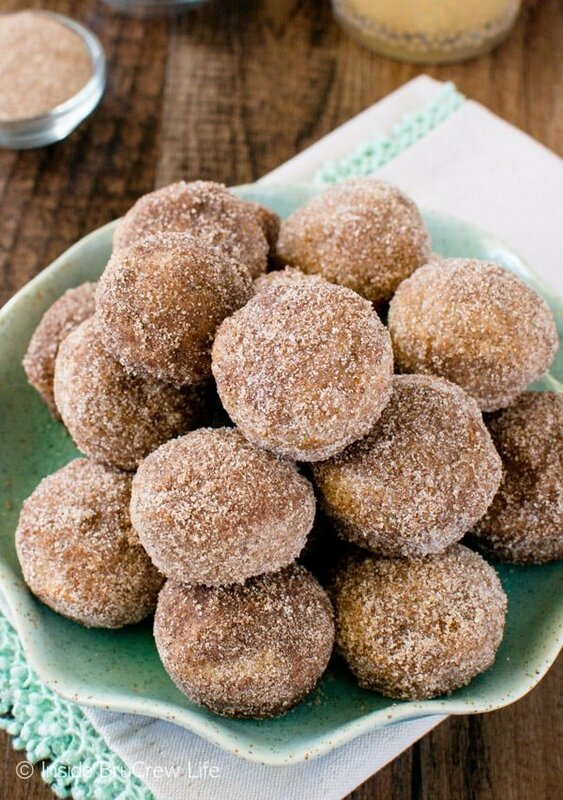 Whether served during breakfast or as a snack, these delicious donut holes are flavored with freshly shredded apples and sprinkled with cinnamon sugar. This is the perfect healthy snack for your kids! This fall, be sure to check out your local market and be on the lookout for seasonal ingredients. Casseroles, pot pies, and stews may be all the rage this season, but it’ll definitely be more fun and memorable if you put your own spin to the usual fall recipes. I hope you found a recipe or two that you’d like to try out from this list. Happy cooking! What ingredients do you like using during fall? Any dishes here you’re planning to make soon? Share your thoughts with us in the comments below! Editor’s Note – This post was originally published in October 2015 and has been updated for quality and relevancy.